Understanding the Game of Blackjack - How to Play Blackjack? The goal in playing blackjack online is to win over the dealer but not making your total card count exceed 21. If your total card count exceeds 21 then you have busted and you have lost. If your total card count is under 21 than you have a chance of winning against the dealer. However, the dealer's card total must be less than your card total or he must bust in order for you to win. The first step in order to play blackjack is to place your bet. This is done by selecting the proper bet through the betting options. After placing the bet, you need to click on the deal button. There are then two cards that appear on your screen facing up. These two cards are yours. Then, two more cards will appear on your screen, one facing up and one facing down. These are the dealer's cards. If your two cards equal 21 than they are considered to be a natural blackjack and you automatically win the maximum payout. This is generally 3:2. There is only one time that player's natural blackjack doesn't win and that is when the dealer has natural blackjack as well. If this happens, then the hand is termed as a push and you will receive your bet back. Once each hand for the dealer and yourself has been played, the round ends. If you want to do another round, you begin again by placing your bet. Stand: To stand means that you don't wish to have anymore cards dealt for your hand. To stand, click on the stand button and whatever your card total is, will remain the same. This will be the total that is used to try to beat the dealer. Hit: A hit means that you want to be dealt another card to try to raise the total of your cards. However, you should be careful not to exceed 21. To hit, click on the hit button. You will do this until you think you have reached a total that will beat the dealer or until you bust. These next few terms are available in most blackjack games played online. Split: If your first two cards are of the same value then they are considered a pair. If this occurs, you will have an option to split them to form two different hands. If the option to split is available, then a button to split will show up on your screen. To split, click the split button. By doing this, the game will automatically place another bet the same as your original bet, on the second hand. You are then going to play out each hand just the same as if you had the one hand only. Double Down: To double down means you are going to double the original bet you places. If you happen to win that hand, you will win a payout of 3:2 based on the combination of your bet. However, when you double down, you will only receive one additional card and then you are forced to stand. Insurance:You are only given the insurance option if the dealer's card that is facing up is an ace. Since the ace is required in order to obtain a blackjack, online casino gives you the option to take out insurance. 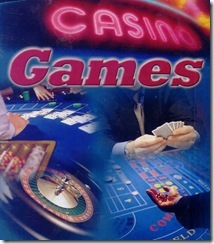 This is so that you do not lose your original bet if the dealer's hand is a natural blackjack. One advantage when it comes to playing blackjack online is that you are along and are only playing at once against the dealer. Therefore, there is nothing to distract you except for what is going on around you. You can also take as long needed to play your hand.